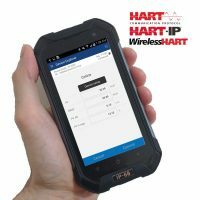 Bluetooth HART Interface guaranteed to work with all HART software for devices with Windows and Android operating systems. 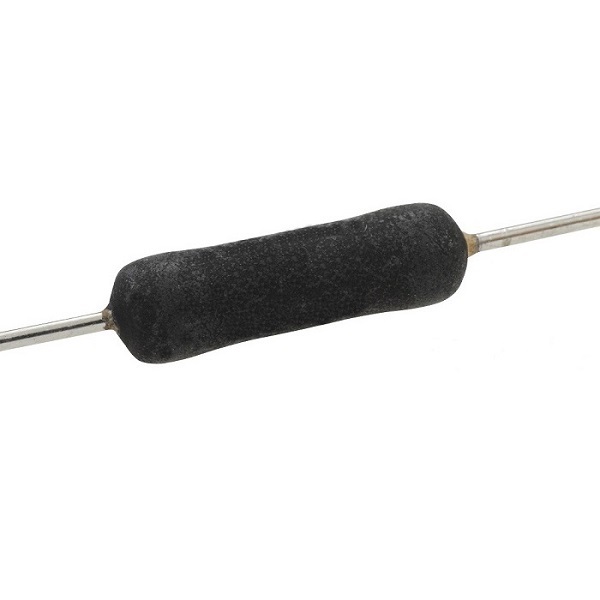 Isolates your computer equipment from potentially damaging field voltages. 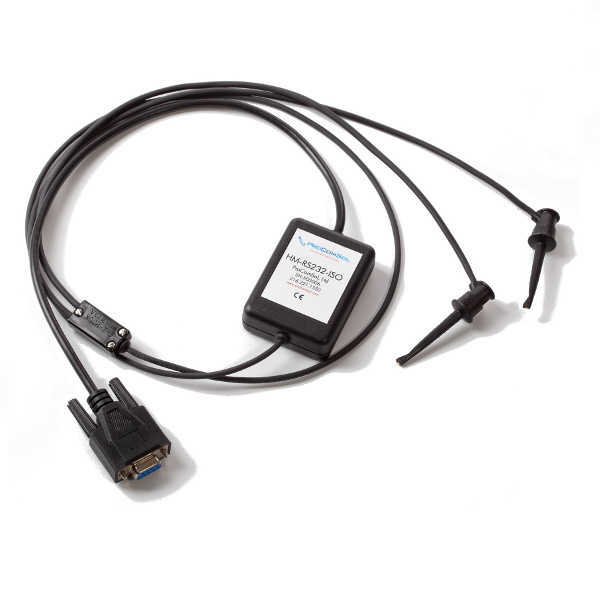 This Bluetooth HART Interface (called HM-BT-BAT-ER) has a range of up to 83 meters (Class 1 Bluetooth), 1.2 meter long cable for HART device/network connection with two grip connectors, and a HART CommDTM for FDT applications. Note: This is the same product as our “Bluetooth HART Modem“. It is listed here as “Bluetooth HART Interface” because a few customer use this name instead. They are also referred to as: Bluetooth HART Cable. Note: This modem is suitable for devices with Windows and Android operating systems. 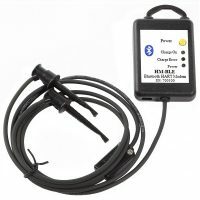 It is not suitable for devices running the Apple iOS, for iOS you need our HM-BLE HART Interface. 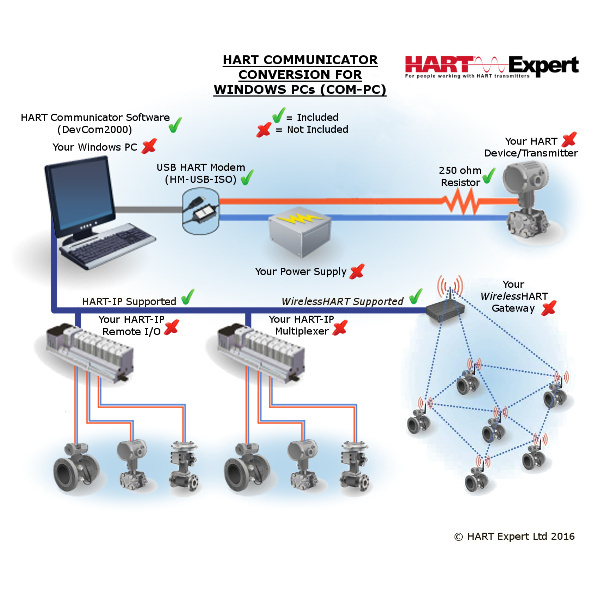 To be able to configure HART devices you need both HART Communicator software and a HART Interface. HM-BT-BAT-ER is just the HART Interface. 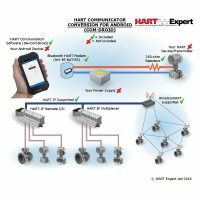 If you do not already have HART Communicator software you should instead consider either a HART Communicator Conversion package or a HART Communicator. However, HM-BT-BAT-ER will work with any HART software. 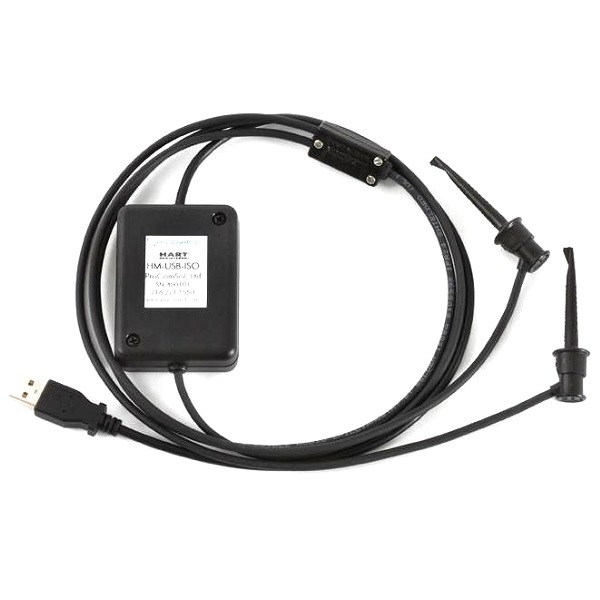 HART CommDTM for FDT Applications (CommDTM = Communication Device Type Manager, FDT = Field Device Tool) such as: PACTware, FieldCare, FieldMate etc. HART Modem Windows PC Connection Test Program. 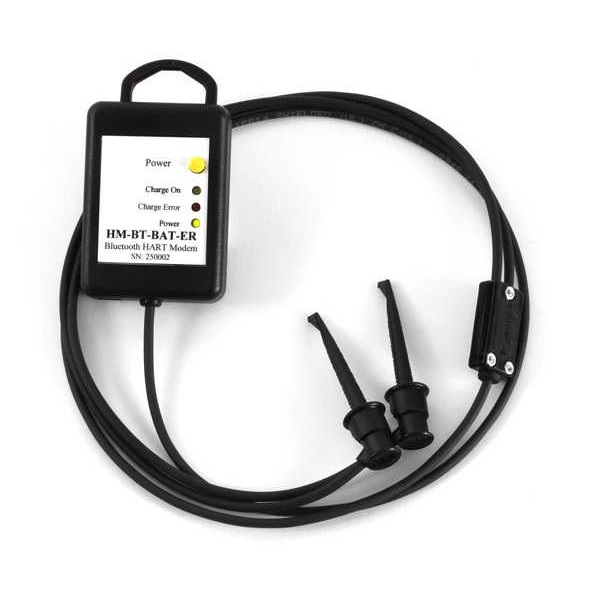 You can use this program after installing the Bluetooth HART Modem to easily test communication with a HART device. 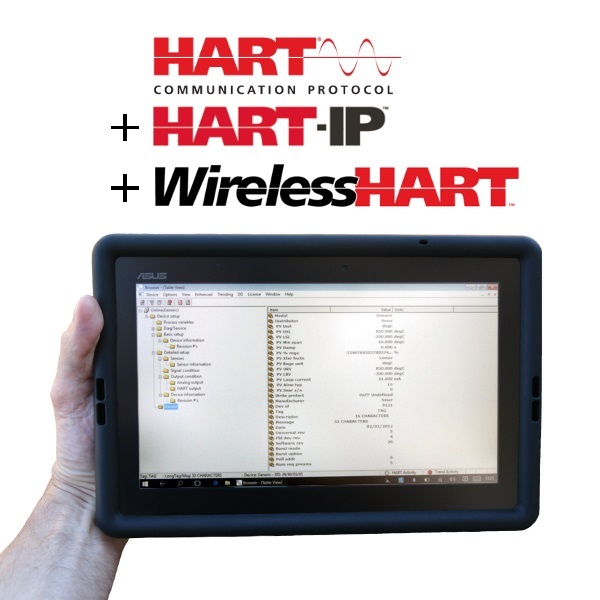 HART Modem Windows CE Connection Test Program. You can use this program after installing the Bluetooth HART Modem to easily test communication with a HART device. a) Our Windows HART Communicator software (DevCom2000). Note: Without a licence key DevCom2000 will function for 10 days to enable you to trial the software. After 10 days you will need a license key to continue using DevCom2000. b) Our Android HART Communicator application (DevComDROID). Note: Without a licence key DevComDROID will function for 10 days to enable you to trial the software. After 10 days you will need a license key to continue using DevComDROID.